The Episcopal Church in Hawaiʻi is spiritually relevant to a dynamic body of believers – the Body of Christ – who become connected and more responsive to human needs. 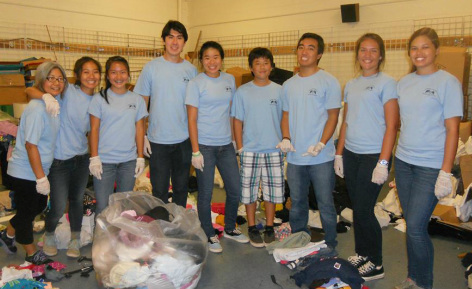 Transform the Episcopal Church in Hawaiʻi into vital and vibrant Christian communities. Streamline our diocesan leadership and support structures so that they focus on transforming the Episcopal Church in Hawaiʻi into vital and vibrant Christian communities. Our Diocesan motto is “HE LANAKILA MA KE KEʻA” (Victory through the Cross). We are united by faith in Jesus Christ and that is what we share. We also take seriously that as a Diocese we have said that we will incorporate “the Native Hawaiian Christian spiritual concepts of mana, mālama and pono into the overall life and work of the church in all areas of ministry in the diocese.” Ministry here must seek to care for others, creation and all that God has given us (mālama), to live righteously and in respect one for another (pono), and to find the holy that comes from God in all creation and all of God’s children (mana). It is into such a vision of ministry and church that we can welcome all of the children of these islands. Our Diocese must be a model of mālama in which you care one for another, for the hungry and lost of our islands and, especially, for those who do not know Jesus Christ living all around us. The courage it took to sail into unknown waters guided by the stars, the clouds, the seas and the rising sun lives in us by the gift of the Holy Spirit. We are sailing into new waters and nothing will ever be the same, but we are guided by the cross of Jesus Christ, we are secure in the love of God through Jesus Christ, we are piloted by the Holy Spirit, and we are assured of the outcome. He lanakila ma ke keʻa. Holo i mua. We recognize with gratitude that the Five Marks (“Five Marks of Mission” as developed by the Anglican Consultative Council between 1984 and 1990) have won wide acceptance among Anglicans, and have given parishes and dioceses around the world a practical and memorable “checklist” for mission activities. ​Lifelong Christian Faith Formation in The Episcopal Church is lifelong growth in the knowledge, service and love of God as followers of Christ and is informed by Scripture, Tradition and Reason. To enter into a prayerful life of worship, continuous learning, intentional outreach, advocacy and service. To hear the Word of God through scripture, to honor church teachings, and continually to embrace the joy of Baptism and Eucharist, spreading the Good News of the risen Christ and ministering to all. To hear what the Spirit is saying to God’s people, placing ourselves in the stories of our faith, thereby empowering us to proclaim the Gospel message. To experience Anglican liturgy, which draws us closer to God, helps us discern God’s will and encourages us to share our faith journeys. To study Scripture, mindful of the context of our societies and cultures, calling us to seek truth anew while remaining fully present in the community of faith. To develop new learning experiences, equipping disciples for life in a world of secular challenges and carefully listening for the words of modern sages who embody the teachings of Christ. To prepare for a sustainable future by calling the community to become guardians of God’s creation. By doing the work Jesus Christ calls us to do, living into the reality that we are all created in the image of God and carrying out God’s work of reconciliation, love, forgiveness, healing, justice and peace. By striving to be a loving and witnessing community, which faithfully confronts the tensions in the church and the world as we struggle to live God’s will. By seeking out diverse and expansive ways to empower prophetic action, evangelism, advocacy and collaboration in our contemporary global context. By holding all accountable to lift every voice in order to reconcile oppressed and oppressor to the love of God in Jesus Christ our Lord. CHRISTIAN FAITH FORMATION IN THE EPISCOPAL CHURCH IS A LIFELONG JOURNEY WITH CHRIST, IN CHRIST, AND TO CHRIST. 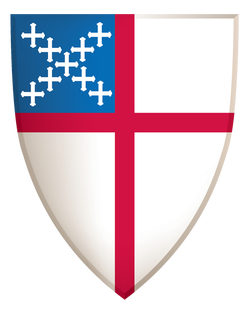 Developed by the Standing Commission on Lifelong Christian Formation and Education in conjunction with the Proclaiming Education for ALL Taskforce, Christian Educators throughout The Episcopal Church, and the Office of Adult Faith Formation for The Episcopal Church. The sacredness of personality is the principle that affirms the value of each of us as individuals before God. The basis for this principle in our Christian life is the Incarnation of God in Jesus Christ. The Incarnational Principle affirms the sacredness of individual human persons as products of creation and the foci of redemption. (See John 1:1, 14). The second principle--the fact of fellowship—reminds us that we live in Community. This is the Pentecost Principle. There is no such thing as a natural human being: a lone wolf—especially a Christian lone wolf. One cannot be a Christian outside of the fellowship of believers. Our relationships do matter; the conduct of each of the individuals within the fellowship is the concern of the whole. We are not a collection of individuals, but a community created at Pentecost. (See John 13:34-35). This Principle drives the ministry of the Great Commission (Matthew 28:16-20). The third principle--the duty of service—reminds us of our collective responsibility for one another. This is the Apostleship Principle. The fact of fellowship is preserved by the duty of service. We are gathered for mutual support and the enhancement of our sacred personalities. We are also moved by God’s love in Jesus Christ to serve others (see Matthew 25). The fourth principle--the power of self-sacrifice—reminds us that in all aspects of our lives we are, as Christians, called beyond our egotistical beings to the service of others and God. We meet self-sacrifice as a divine imperative at the foot of the cross. God in Jesus Christ gives us the living love of self-sacrifice. We are bonded to God in the sacrifice of His Son (see Philippians 2:5-7). This is the Atonement Principle. Ministry must include the willingness to take risks and to turn the world upside down in order to share the message of salvation.